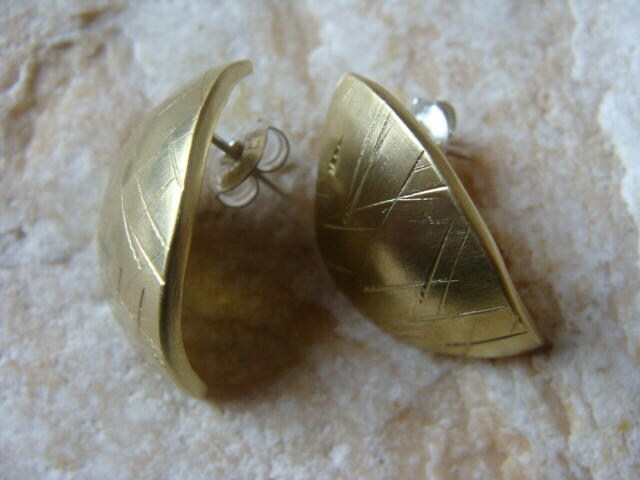 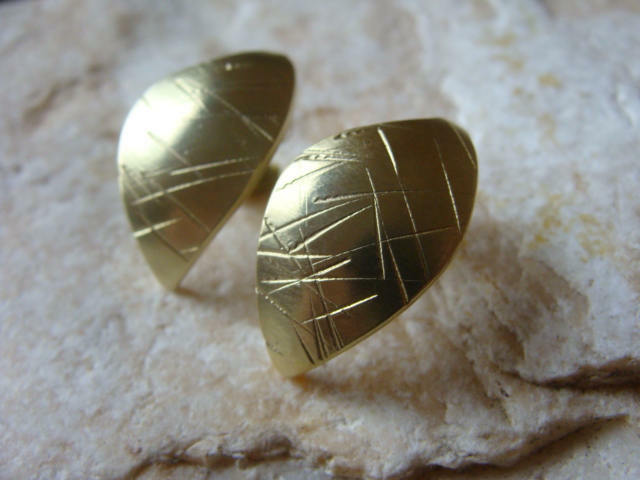 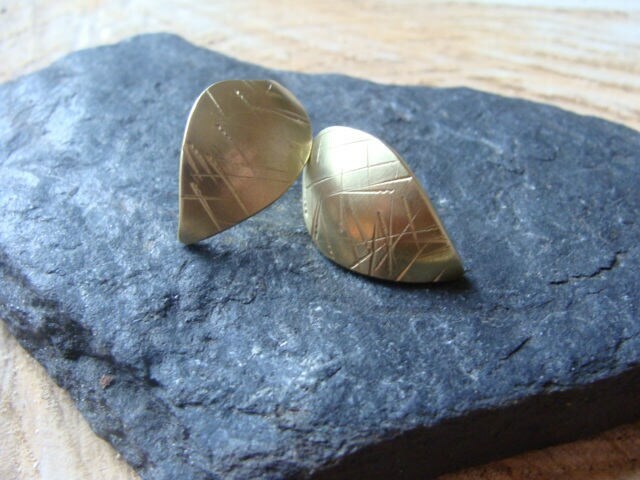 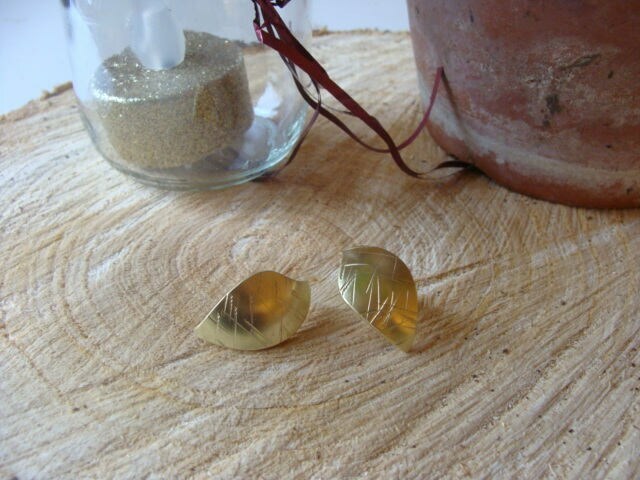 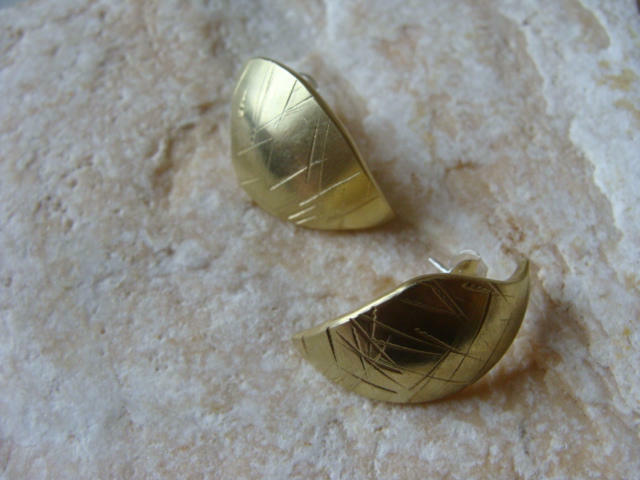 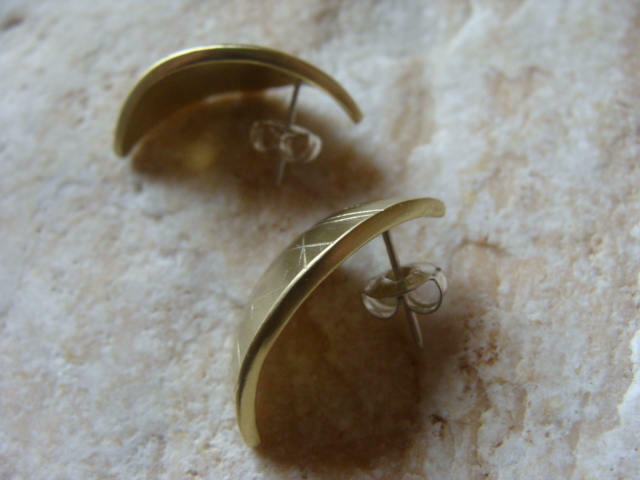 Pair of brass earrings, drawing a finely chiseled and curved sheet, covered with a layer of 3 microns of fine gold 18 carats. 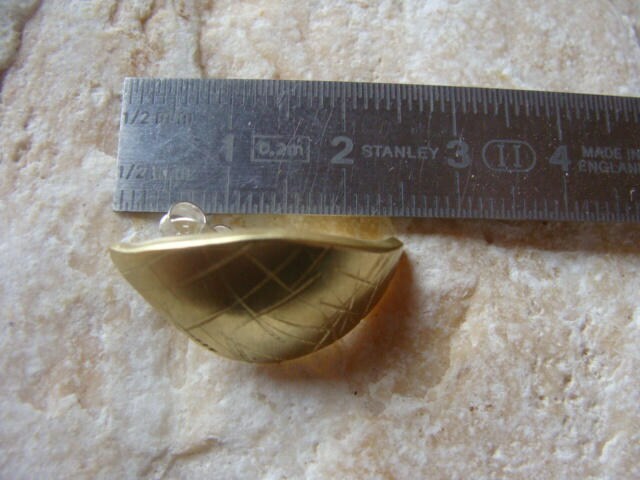 Belgian stroller clasps in silver 925 °. 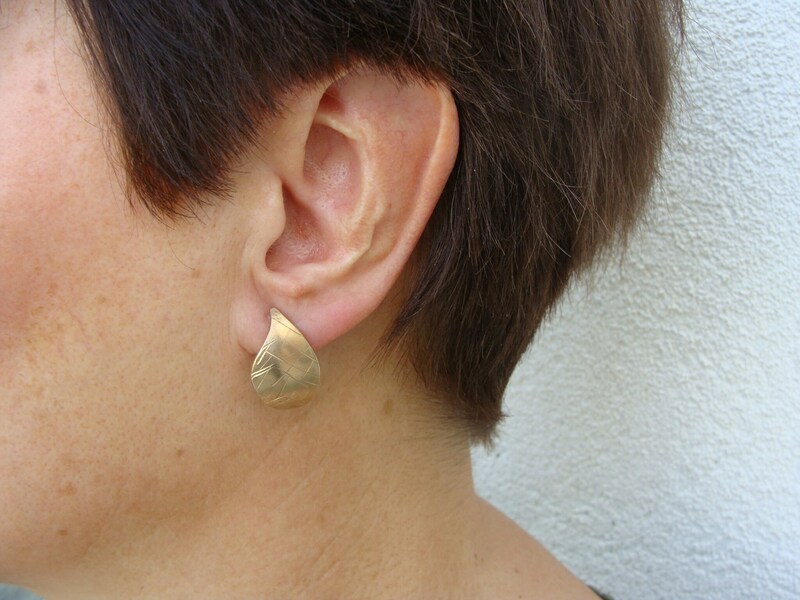 Nice design that perfectly dresses the ear! 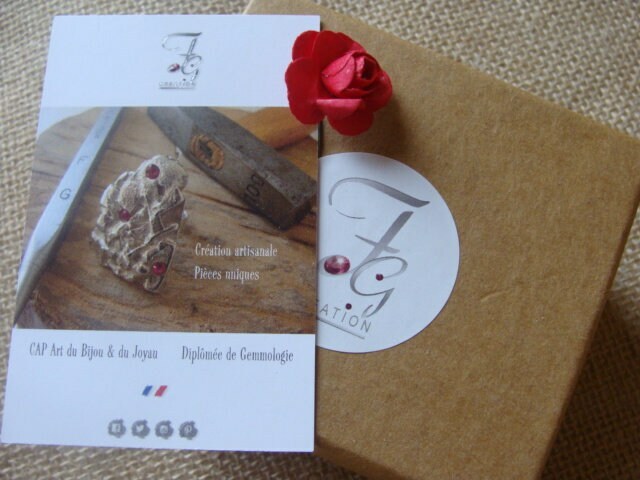 Unique piece, handmade in my workshop Lyon.